I created this Think and Grow Rich summary because it this book really changed my perception on goal setting and I wanted to share it with you so you can be just as inspired. If you haven’t read this book you should definitely get a hold of a copy. 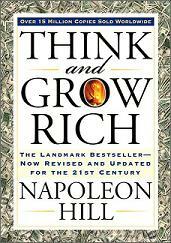 In case you did not know, Think and Grow Rich is considered the bible of personal development. It was published in 1937 by Napoleon Hill who outlines the tools to turning your life from rags to riches. Do not be fooled by the date of the book being published since good advice and wisdom is timeless. Napoleon Hill was able to achieve success in all aspects of his life just following the tips outlined in the book. 1. The power of positive thinking. I can best describe this as thinking about positive outcomes, not focusing on the negative ones. Saying phrasing such as “when I get…” or “I will do…” rather than "I hope..." or "I wish...". Believing that you already have that want in hand. 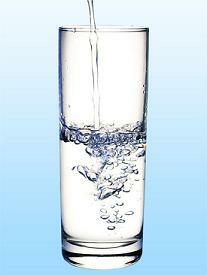 In other words choosing to view the glass as half full, rather than half empty. I know oftentimes we are afraid to fail or we’re afraid to let ourselves down so we focus on the negative so we don’t get hurt or disappointed. We say things like “he/she will never call me back…” or “I’m not good enough to get that job…” or “I’m not lucky enough…”. And you know what??? I bet you were right when you said that. However, if you follow the advice in Think and Grow Rich and focus your energy on the positive it will happen for you. This is valuable when you’re going through a transition in your life. I find it especially important when you suffer a setback or experience a disappointment. 2. Visualizing your goals. This point sound so basic but so many of us fail to do it. I listen and read a lot about big achievers and you know what they tend to all have in common??? They visualize their goals; they imagine themselves as already achieving them. If you currently are doing a job that you hate, what will help you through the day a bit easier is if you keep on imagining about your dream job. Or if you doing a killer workout or taking on a new diet plan, picture what your body is going to look like after a few weeks of dedication to your diet plan. This will help you keep on track and you are more likely to stick with it long-term. Also, when you are constantly visualizing your goals you will be more aware when doors open around you. I first read the book Think and Grow Rich it was in 2008 which I identify as my transition year. By following the advice in the book I was able to attract a job that was the next step in my career and purchase my first place that was everything I was hoping for. I continue to follow the principles in the book so I know I will constantly achieve every goal I set for myself. This Think and Grow Rich summary just scratched the surface so I hope you make it a priority to read the book. To find your own success I encourage you to embrace the dreamer inside you too! Click here to leave the Think and Grow Rich summary and continue to be inspired.